So, I made a list of projects I wanted to do before Christmas, and they ranged from more practical (updating our mailing list for Christmas cards, sewing the living room curtains in time for our Christmas party) to the more recreational. 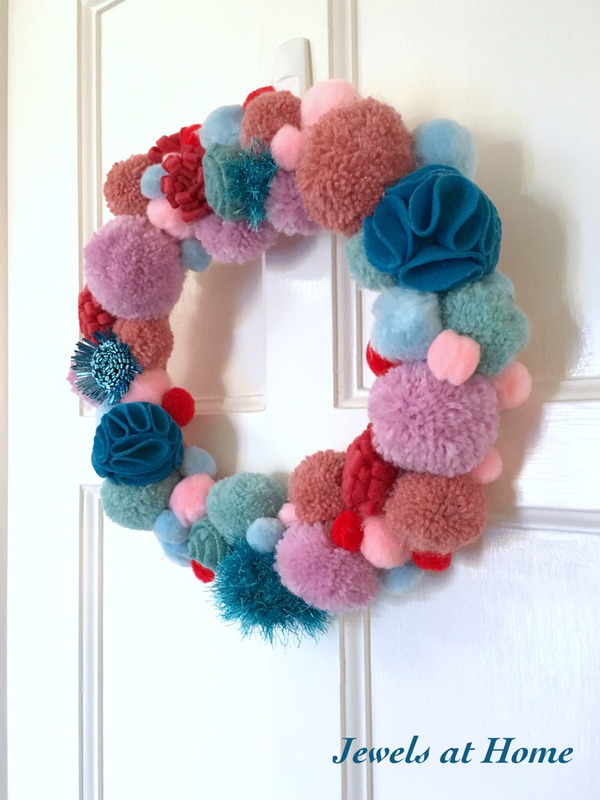 I wanted to start with the practical, but I was so distracted by the idea of making a pom pom wreath that I just had to do it! 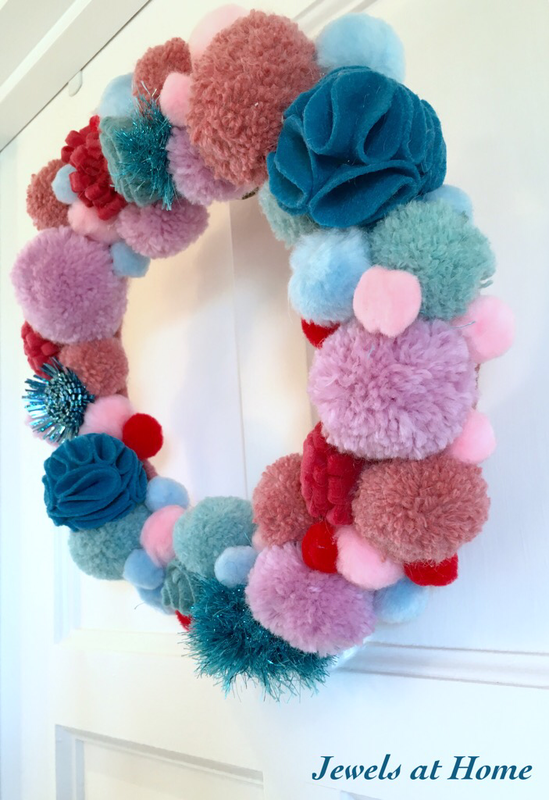 Usually, pom poms remind me of summer camp rather than grown-up holiday decor, but I have to say I changed my mind when I saw Danielle Thompson’s gorgeous Christmas wreath. 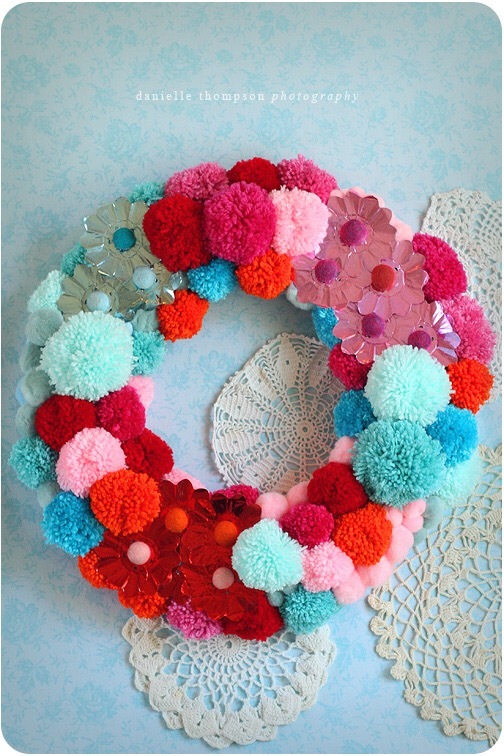 This wreath is so whimsical, cheerful, and absolutely beautiful! 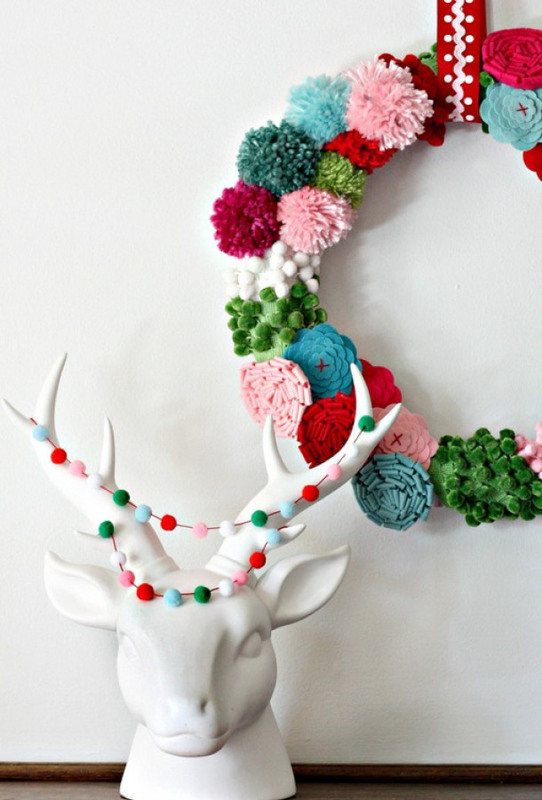 Browsing for more ideas, I found another lovely pom pom wreath from Nest of Posies. When I read her post, I found that Danielle’s wreath was also her original inspiration, so thank you, Danielle! 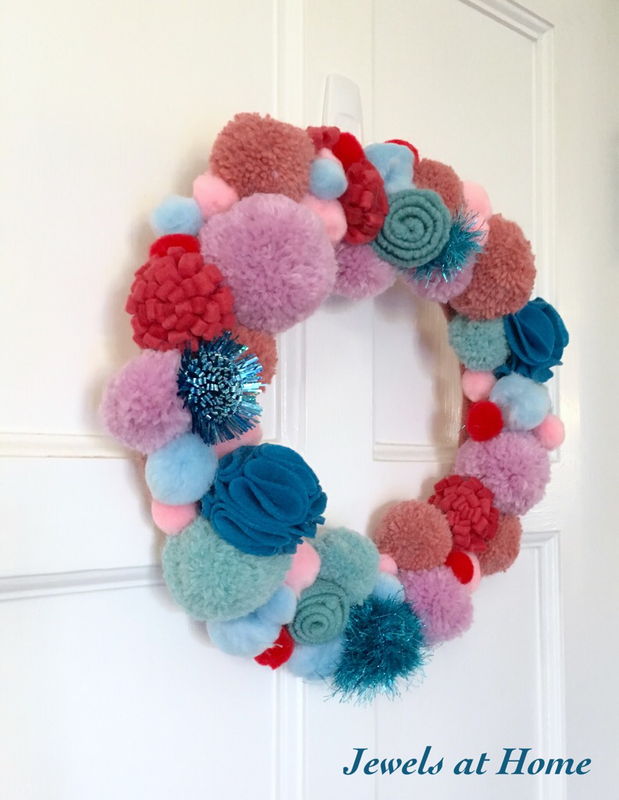 I like the way both of these lovely wreaths mix pom-poms with other types of flowers and decorations to add more interest and dimension. As you know, Danielle’s colors are also my inspiration for this Christmas: red, pink, and turquoise. To make my wreath, I started with an 11″ diameter cardboard backing, which I wrapped in yarn. 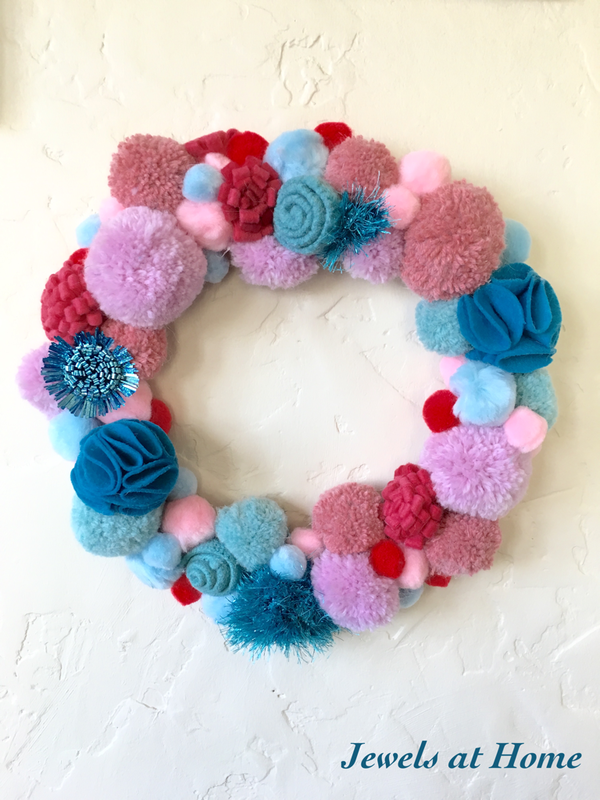 I hot-glued a variety of pom-poms and felt flowers onto the wreath to create this beauty. While I made this wreath for this year’s retro Christmas, I love that the colors are neutral enough to enjoy all year!